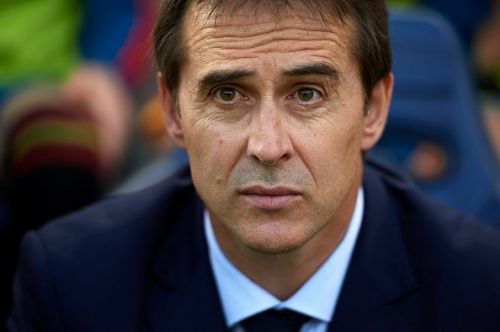 After ending his stint with Real Madrid as a player, Julen Lopetegui moved to Logroñes where he became the club's first choice custodian. Making 107 appearances in three seasons, Lopetugui impressed another giant of Spanish football and was signed by FC Barcelona in 1994. But he received the same fate at Camp Nou as he had at the Bernabeu. Lopetegui could not dislodge Carles Busquets as the club's top goalkeeper and was his understudy for three seasons at the club. He made just five appearances for FC Barcelona but received his only Spain cap (against Croatia in a 2-0 loss) during his time in Catalonia. Lopetegui will become only the second ever manager after Luis Enrique to manage Real Madrid/FC Barcelona after playing for both the sides.